I was lucky enough to receive a box of small Autograph nail polishes for Christmas, I think there were 20 different colours, that are all available year round in full size, and as I wear them I thought I would quickly drop my thoughts down on here. First up is Glacier (available HERE) , this is an 'all in one' nail polish with argon oil and vitamin E, and I must say it is a beautiful colour. I was a little unsure of it in the bottle however once I had it on my nails and dry I fell in love. I love the iridescence to it. 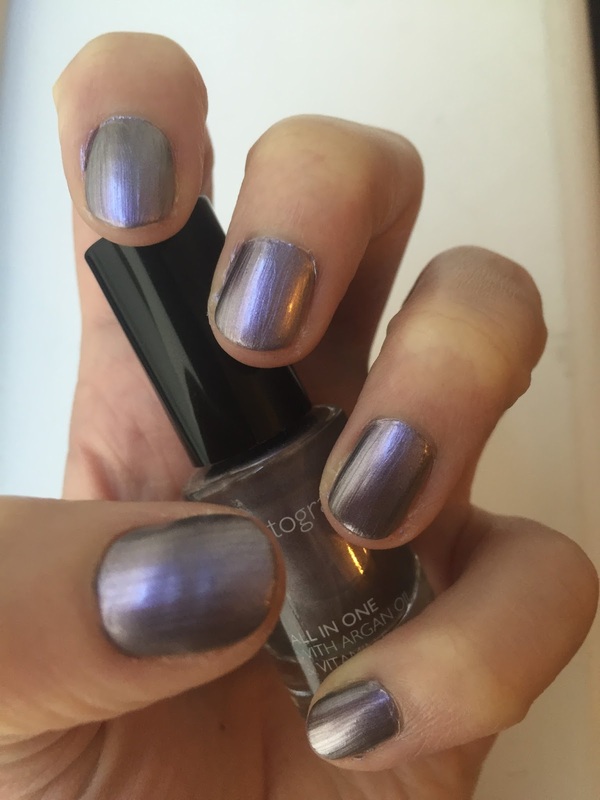 In some lights it is a beautiful silver but then in others it looks a shimmery purple and I love this changing holographic colour as it really gives a different more exciting dimension to the polish. Application was easy as the bush although does sometimes pick up excess product is easy to use and big enough to make it a quick job. 2 coats of this polish was enough and it dried super quick, a must in my opinion. The lasting power was not too bad, some chips started to appear on about day 3 and I took it off probably on day 6 having deemed it to be looking too bad by that point. Overall I really enjoyed this colour and the formula of the nail polish and am looking forward to wearing it again. Have you tried any of the Autograph nail polishes? What is your opinion and which is your favourite colour? Make sure you are following this blog on bloglovin and make sure you head over to my other social media (Instagram, Twitter, Youtube) channels to keep up to date with what I'm up to! this colour looks amazing on you!! <3 I entered your giveaway! Lovely Person, Love The Giveaway. beautiful polish! and thank you for the opportunity of the giveaway!